Below is a summary of our programme of events in 2013. Jan 17th R Capel Ladies Club A.G.M. Sep 19th R Indian cookery (demonstration and meal) – CHANGED! Jan 16th (2014) R Capel Ladies Club A.G.M. This year’s theme for the annual Festival of Trees & Lights at the Capel St Mary Parish Church was FILMS. Capel Ladies Club decorated a tree to represent the classic Gene Kelly musical, ‘Singing In The Rain’. The whole display comprising more than 30 trees lit up St Mary’s Church and looked beautiful. 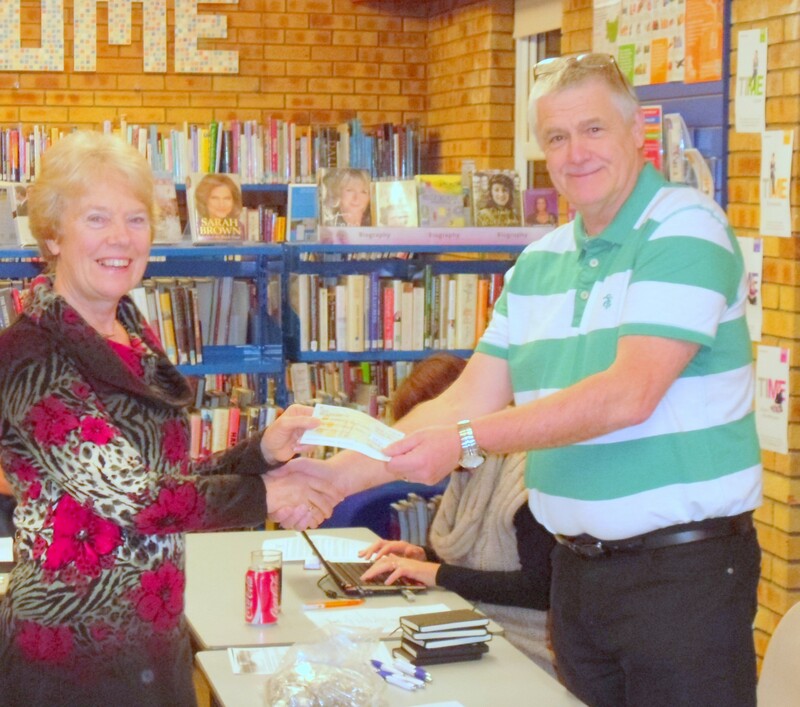 Di Barker, Chairlady of Capel Ladies Club, presenting Mark Browning, Chairman of Capel Community Trust, with a cheque for £379. 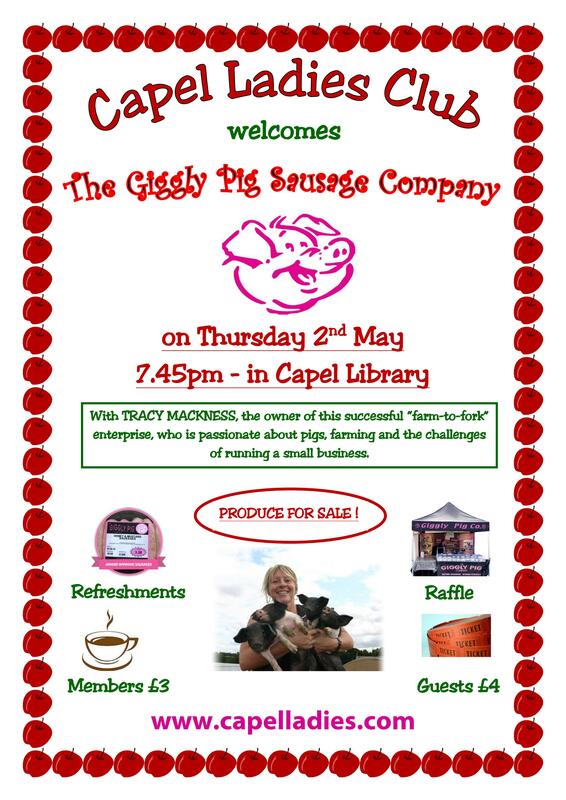 The money was raised by Capel Ladies from their ‘An evening with Gordon Blackwood’ charity night, held in the Vine Lounge in November 2013.